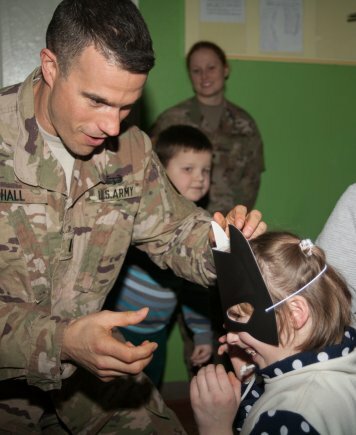 Yavoriv, Ukraine - New York Army National Guard Soldiers assigned to the Joint Multinational Training Group - Ukraine (JMTG-U) spread a bit of holiday cheer by visiting the Krakovets Educational Rehabilitation Center on Dec. 27. 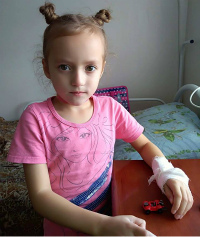 The Center is a school and an orphanage, and houses approximately 50 children aged 6 - 16, with a number of them possessing some sort of developmental disability. 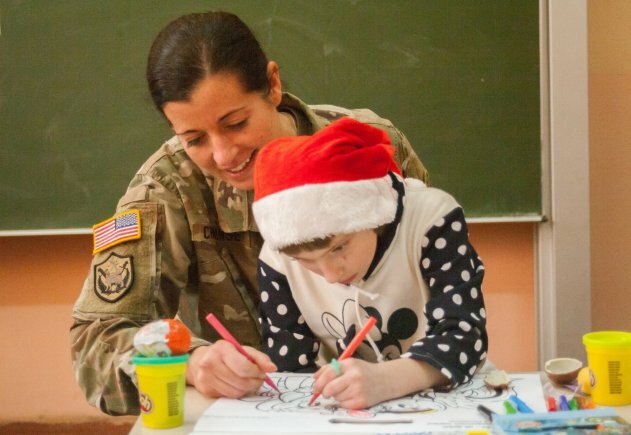 The Soldiers made two trips during late December where they had the opportunity to interact with the children and present them with some holiday gifts. The first trip was organized by the Joint Training Group's Golf Company and occurred shortly before Christmas, and the second visit was organized by the unit's Medical Section and happened shortly before New Year's. 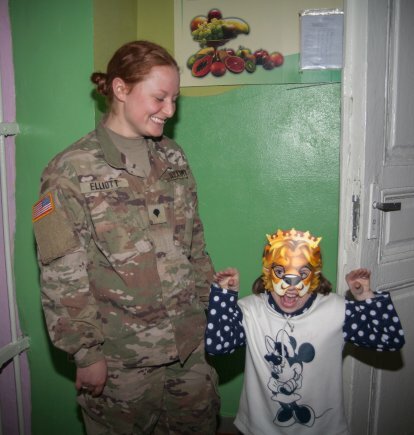 "We decided to organize a trip to an orphanage to donate our time and to see what needs they had," said 1st Sgt. Matthew Stark, the Golf Company senior enlisted Soldier. "One of the things that they had asked for during our initial meeting was a sound system so that they could have plays and interactions with the children." With a goal now in mind, Stark and Capt. Joshua Gioeli, the Golf Company commander, took up a collection and quickly raised more than the $350 needed to purchase the sound system. In addition to the sound system, the company used the extra money raised to purchase articles of clothing for the children. When 12 of the Golf Company Soldiers visited the Center to present the sound system and the clothing, they were treated to a Christmas celebration. "During our visit, they had a Christmas performance," said Stark. 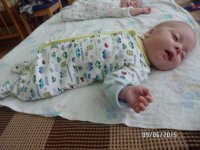 "The local Ukrainian police were there and some of the border patrol Soldiers were in attendance as well." 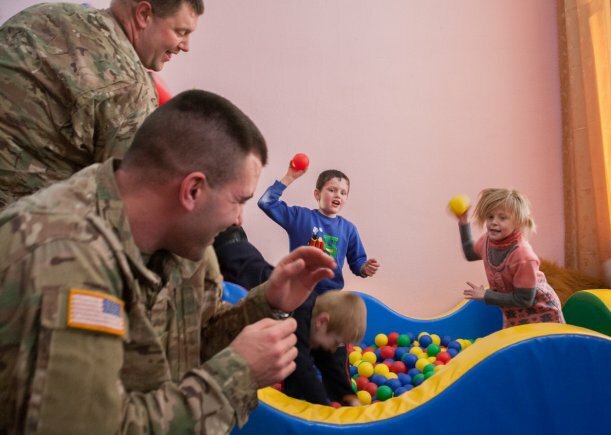 During their time at the center, the Soldiers of Golf Company were able to interact with the children and have an afternoon of fun before heading back home. "It was a combined effort and all of the Soldiers that were there were inspired," said Stark. "Just to be there with kids that don't have parents or mentors can be rewarding in itself." While Golf Company was conducting its fundraising and planning its trip to the center, the training group medical section was conducting its own community outreach mission. 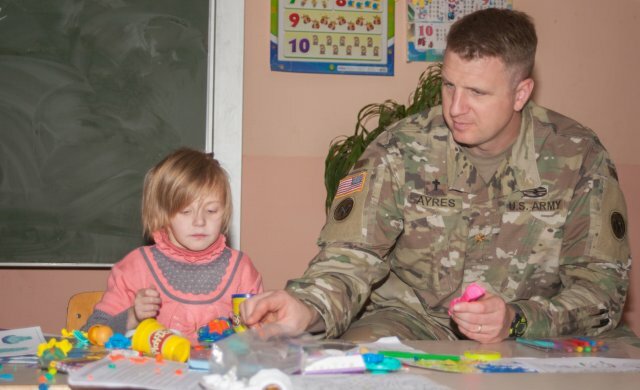 "When the (Oklahoma Army National Guard's 45th Infantry Brigade Combat Team) was stationed here, they visited the Lviv children's hospital and did a community service event there," said 2nd Lt. Derek Fuerch, the medical operations officer. 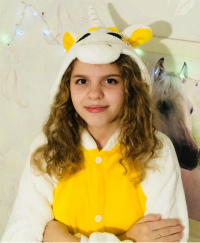 "When I talked to our linguist about it, she recommended a few different places that had disadvantaged children or people of need." 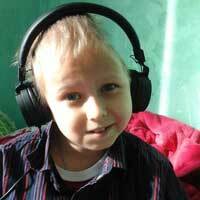 "We decided to pick one of the orphanages," Fuerch said. "We went with one that served children with disabilities because we have a few people on our team that have experience with that." Unbeknownst to Fuerch, the same orphanage that they ended up visiting, was the one that golf company had just connected with. "They didn't ask for any gifts or anything," Fuerch said. "They just wanted us to come and have a good time with the children." Despite the fact that the center didn't ask for anything, that didn't stop the Soldiers from purchasing presents and games to give to the children during the visit. "We went shopping and purchased some presents. We bought some soccer balls and games like Jenga, as well as some other games that the older children would enjoy," Fuerch said. "Also, we purchased some bracelet-making kits and Play-Doh for some of the younger kids." 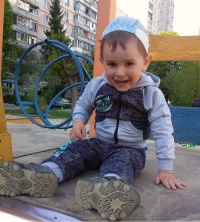 As word got around about the orphanage trip, volunteers came from all over the training group of more than 200 people to participate in the event. "Once I brought this idea up, names came flooding in from every which way," Fuerch said. "If anything, we had to limit the number of people we could bring on this trip." Both of the trips were an overwhelming success and the units that participated plan on returning to the center as the mission allows. "When we visited, we noticed there were a few areas of the school that were run down, "Stark said. "There are a lot of fixes that could be made with zero money, just time and effort." "It's important to give back," Stark said. "It was nice to see Soldiers have a spark in their eye and understand that we can do more than just help the Ukrainian Army while we're here, we can also help a local community."